The spectre of tube strikes has raised its head again after the Rail, Maritime and Transport (RMT) rejected a pay offer from London Underground (LU). The union said the offer failed to address its claim for a one-year deal, including "substantial" increases in pay and conditions. LU made its revised offer earlier this month, worth 4.5% this year, followed by a rise of RPI inflation plus 0.25% in the four subsequent years. RMT general secretary Bob Crow said: "RMT has considered the latest revised offer from London Underground. Whilst it shows a slight improvement, the offer is still below inflation, does not adequately address our claims for improved conditions, and remains a five-year package. It therefore falls well short of settlements we have achieved elsewhere in the industry and fails to address our claim for a one-year deal with a substantial increase in pay and improved conditions. We also note that London Underground has confirmed that this is not its final offer." 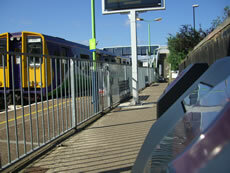 Earlier in the month an agreement had been reached with Network Rail to give each worker an Olympic payment of £500. Now the RMT want a similar payment for their members. The RMT have already rejected one offer from LU in April which was for a 4% rise in the first year. London Underground director Richard Parry said: "This very fair and affordable multi-year pay offer to the trade unions will enable our employees' salaries to keep pace with the cost of living and guarantees an increase in real terms over the life of the deal. At the same time it is realistic given the current economic situation and the pressure on Transport for London's finances." The RMT threatened to strike earlier this month over the sacking of two drivers although many transport industry observers believe that the real intention was to flex their muscles in advance of pay negotiations. LU want to secure a longer term deal to avoid the possibility of strike action during the Olympic Games.